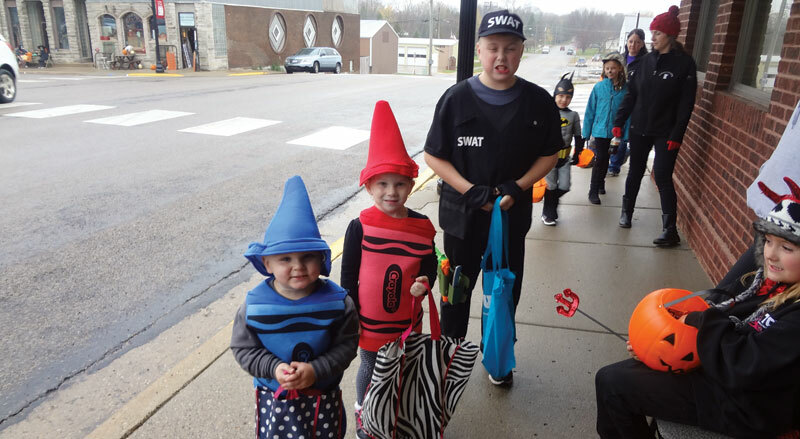 These cute crayons were two of many Cokato youngsters to have a great time during the Chamber’s recent BooFest. The Cokato Chamber of Commerce is a voluntary association of business people working together to improve the economic and civic vitality in Cokato. Enhancement and beautification projects throughout the city are promoted by the chamber. The chamber has changed the structure of its meeting to integrate more of a networking aspect for its members. The chamber also plans and organizes the DC Expo. The chamber sponsors the annual City Wide Garage sales the last Saturday in April and is planning BooFest, an event encouraging local business to decorate their storefronts and hand out candy to the children of the community from 4 to 5 p.m. on or around Halloween – date to be determined. Each year, the Cokato Chamber honors an outstanding citizen for his or her work to better the community. In December, the Citizen of the Year award is presented to that individual at a special lunch meeting. The chamber meets at noon the first Tuesday of each month (except August) on the second level of Cokato City Hall. The chamber is governed by a five-person executive committee. Officers for 2018 are Paulie Johnson, president; Chris Klieman, vice president; Jarod Sebring, treasurer; Mitch Simmons, past president; and, LouAnn Worden, executive secretary. For information, call Worden at (320) 286-5505 or email lworden@cokato.mn.us. The chamber supports the Cokato business community by advertising on the internet with the Chamber of Commerce Business Directory.